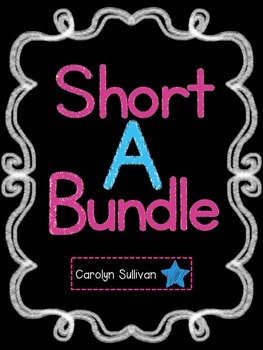 Short A Bundle- Sounding Out Short A CVC Words! 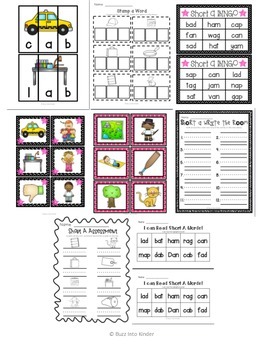 This 117 page Short A pack has everything you need to help your students master reading SHORT A CVC WORDS! This packet provides opportunities for whole group practice, small group instruction, one-on-one instruction and activities for centers. This packet includes only Short A CVC Words including, -ab, -ad, -ag, -am, -an, -ap, and -at. 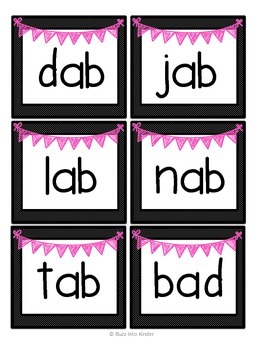 The activities in this unit will help your students master these endings so they become fluent at sounding out Short A CVC Words! This packet is a packet you will refer to year all year long as students become ready to blend sounds and read Short A words! This packet also has assessment pieces for progress monitoring when using the Response to Intervention (RTI) or any other progress monitoring program. 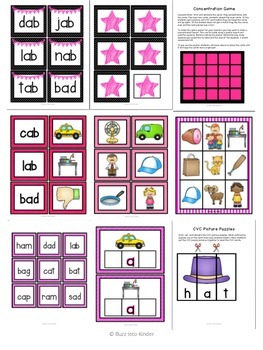 -	K.RFS.3: Know and apply grade-level phonics and word analysis skills in decoding words.